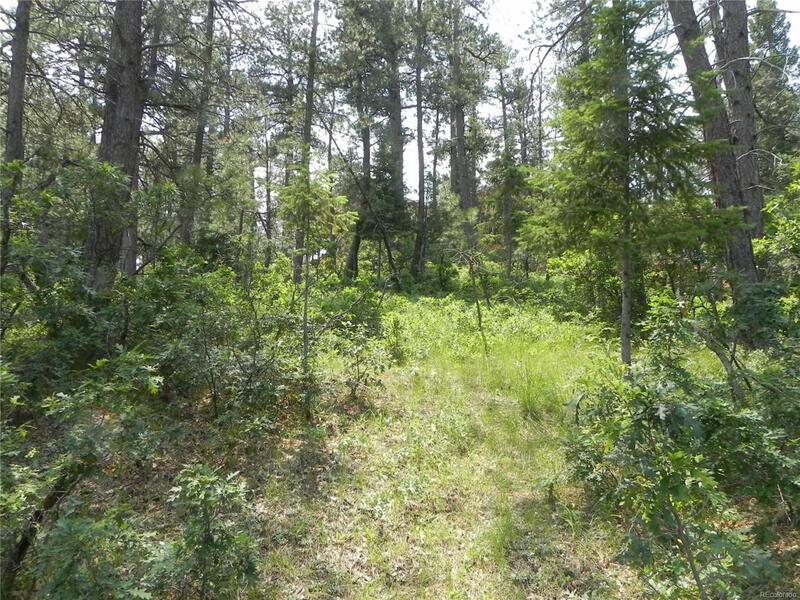 Fully ready-to-build 1-Acre lot on County Maintained paved road in Perry Park ** Enjoy soaring Ponderosa Pines plus views of Red Rock Ridges ** All utilities are at the road in front of the lot including public water and sewer lines ** LID Assessment is PAID IN FULL ** Located in the front half of Perry Park, you only have a 12-minute drive to I-25---an easy commute to the Denver Tech Center OR northern Colorado Springs. Feel free to take a walk and explore this site. All 6 property pins are staked and flagged. This is a WIDE lot--plenty of different locations to place your new dream home ** NO HOA--there are covenants however---call for a copy ** Enjoy lots of area wildlife--plenty of mule deer and whitetails roam the area along with flocks of wild turkeys, red and silver foxes, and seasonal hummingbirds ** All that is missing is YOU and your new Dream Home ** We have builders familiar with the area that can meet with you to explore the options. Call us to set up a meeting.